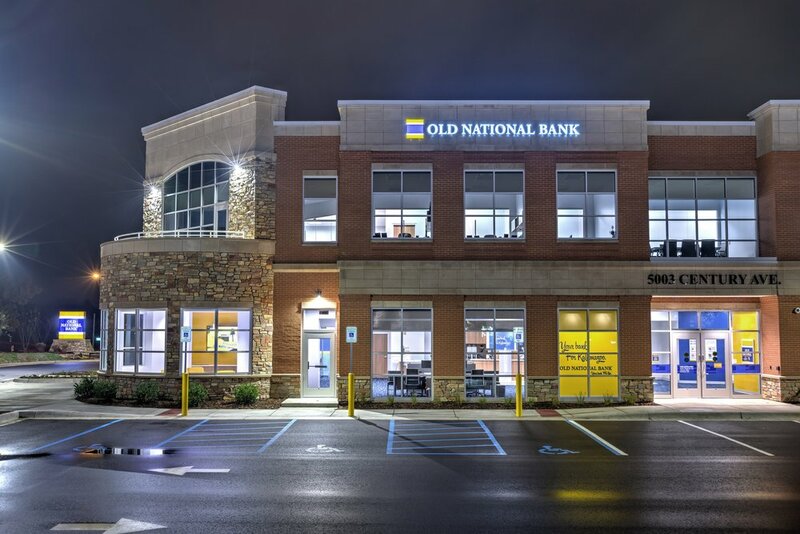 Old National Bank Regional Headquarters & Banking Center | AVB Inc.
Old National Bank’s new regional headquarters is one-of-a-kind and the first two-story Old National Bank branch in Kalamazoo. The main level includes tellers and a customer service area, while the upper level is a mix of private and open offices. The new headquarters features all LED lighting, a beautiful outdoor patio on the second level for employee’s and modern sliding glass office doors. 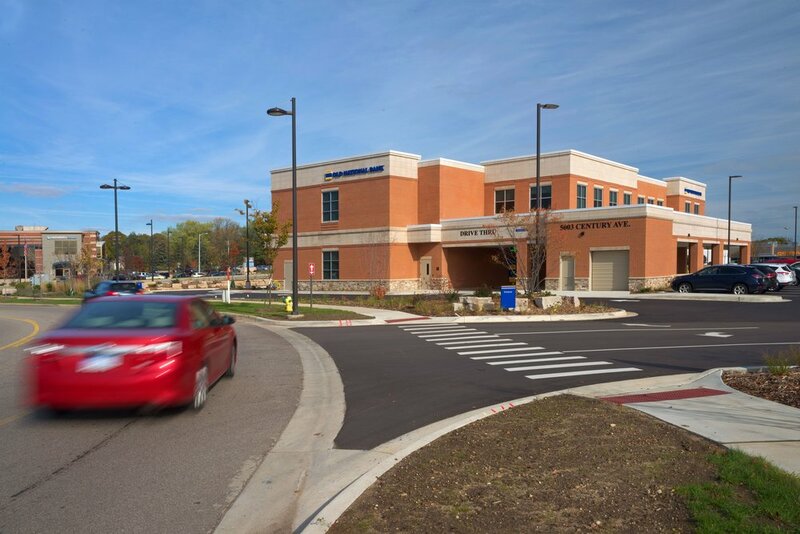 The new headquarters is anchored by a stunning stone Rotunda architectural feature that will be a defining landmark within the Kalamazoo community and the Corner @ Drake development. AVB coordinated closely with Old National Bank and architect, TowerPinkster, to ensure that this new headquarters met Old National Bank’s new brand standards. It is the first branch to represent these new changes and will help set their design protocol for future branches. 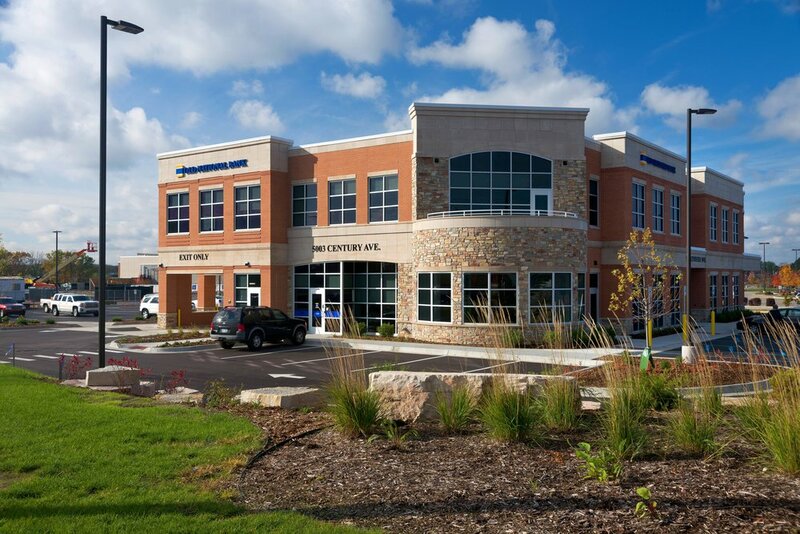 AVB is proud to have completed this 15,640 SF headquarters on schedule and within budget.